Since update a day ago, the app displays the splash screen then closes up and disappears. 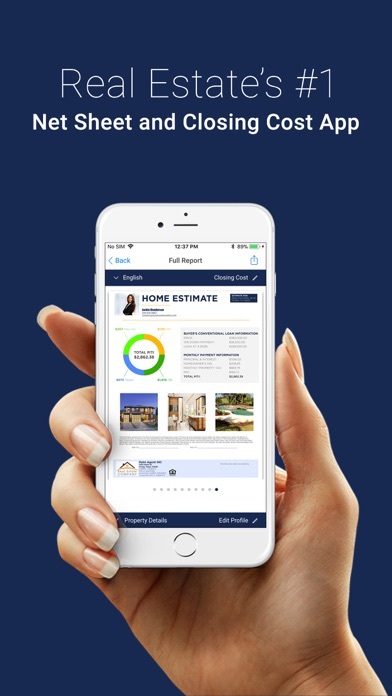 Great App for ALL real estate agents! This app is great for giving your clients a little piece of mind by having an estimate of their possible out of pocket cost. This is the best program for professional and accurate net sheets for both sellers and buyers. It even prorated property taxes and mortgage interest. Once you do a netsheet at one price, you can create nets for an entire price range! I use the Net sheets feature all the time and have also used some of the customizable marketing features also. Great app I would recommend this for any agent. It is simple easy to figure out and useful.